It’s been a great month so far as winter has transitioned into spring. 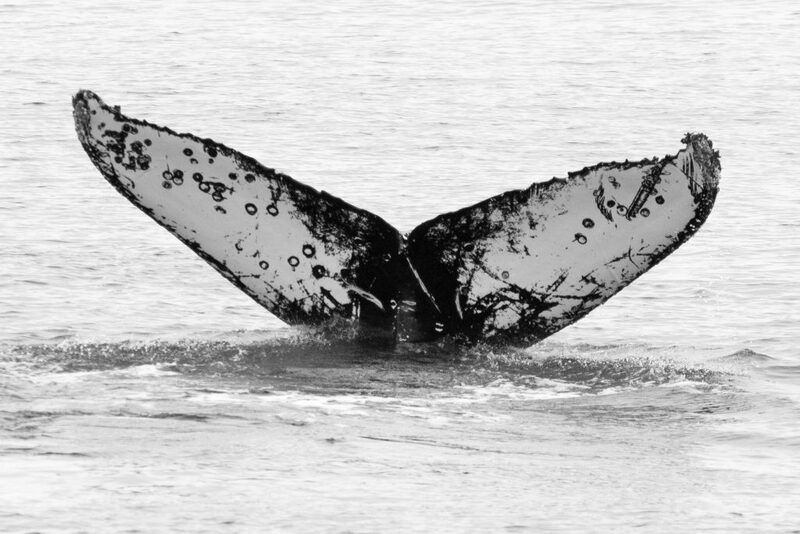 During the winter, we observed some over-wintering juvenile humpback whales that skipped their yearly migration and stayed in Monterey Bay to continue feeding on anchovies. Towards the middle of this month we started seeing more and more adult humpback whales return to the bay from their breeding grounds off the coast of Mexico and parts of Central America. We learned through Happywhale that one of our whales photographed this month in Monterey Bay had been seen off Mexico less than three months before! Fluke ID of humpback whale CRC-15347 photographed in Monterey Bay on March 15th, 2017. Also spotted in the breeding grounds off Mexico in December! The northbound gray whale migration is also in full swing with many gray whales passing by our harbor mouth and across the middle of the Monterey Bay. While the humpback whales are here specifically to feed, the gray whales are keen on reaching their feeding grounds in the Bering and Chukchi seas of Alaska after having spent the past couple of months in Baja California in their breeding lagoons. Though some are still feeling spunky and continuing to mate along their migration! A couple cow/calf gray whale pairs have passed through but the majority will be observed mid-April through mid-May. This month we’ve also seen Risso’s dolphins, long-beaked common dolphins, Mola molas (giant ocean sunfish), Velella velellas (by-the-wind sailors), black-footed albatross, grebes, loons, pigeon guillemots, common murres, rhinoceros auklets; and of course harbor seals, California sea lions and plenty of sea otters. The sea otters have been enjoying gorging on fat innkeeper worms which seem to be abundant in the Moss Landing Harbor lately. 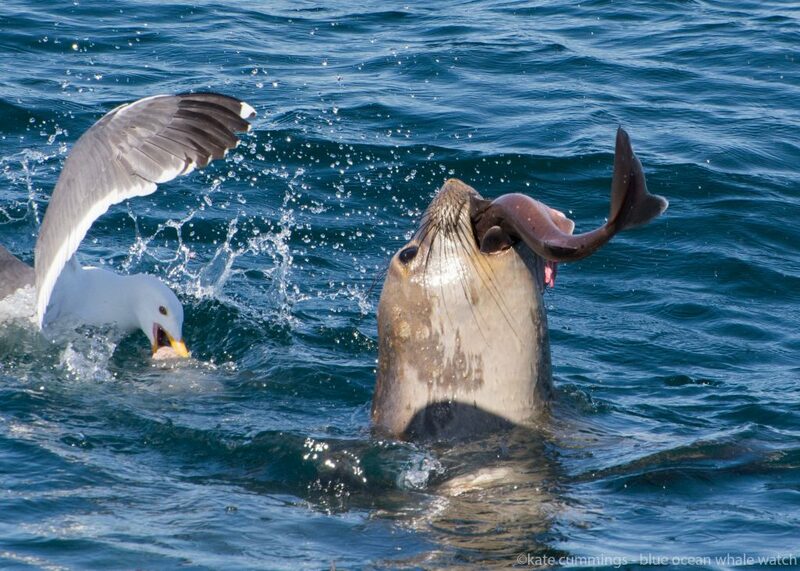 One of our favorite encounters so far this month has been observing a juvenile elephant seal returning from the depths of the Monterey Bay with a tasty small shark called a spiny dogfish. We rarely see elephant seals on our trips as they spend the majority of their time beneath the surface, diving to depths of over 5,000ft for as long as 2hrs. We’ll spot them occasionally resting at the surface between dives, but we’ve never seen them return to the surface with a meal. It was a special event enjoyed by passengers and crew alike!